This is some extremely high praise by the longtime NFL signal-caller. 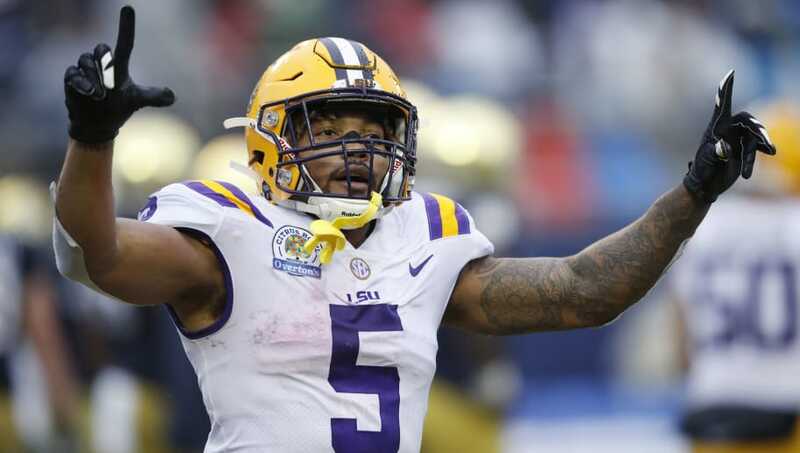 ​Derrius Guice was drafted by the Washington Redskins with the 59th pick of this year's draft. The running back was a star performer at LSU, and it's widely accepted that he only fell to the second round because of concerns about his character. So far, Guice has been taking those concerns and stiff-arming them into oblivion. Not only has he ​raised thousands of dollars for cancer research, he has also connected with fans through various methods, such as live streaming​ video games like Madden. And he continues to impress his teammates with his dedication and fun-loving nature. Perhaps the most impressed of all is new Redskins quarterback Alex Smith. “I didn’t know anything about him when we drafted him. You hear all this nonsense, I guess, that’s out there," Smith told reporters at Redskins camp. "The kid has a smile on his face 24/7. He loves playing ball. He loves being out there. To be honest, I don’t feel like there’s a real weakness in his game." Wow, not only does Smith think that any doubts about ​Guice's character are "nonsense," he also doesn't think ​the rookie has any legitimate flaws in his game, suggesting that the former Bayou Bengals bruiser is excellent as a runner, receiver, and blocker. Sure, Smith is biased in favor of his teammates, but he has also seen his fair share of young players come and go. His praise for Guice sounds genuine. If the back can live up to the hype, Washington fans will be extremely happy with their decision to bring him on.